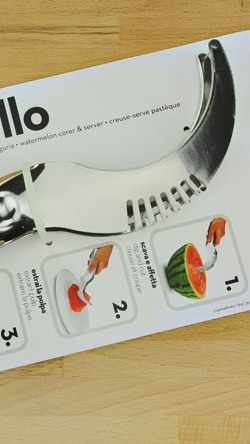 Appreciate immediately Angurello: the kitchen utensil that combines the functionality of a knife with the handiness of tongs to serve slices of watermelon. 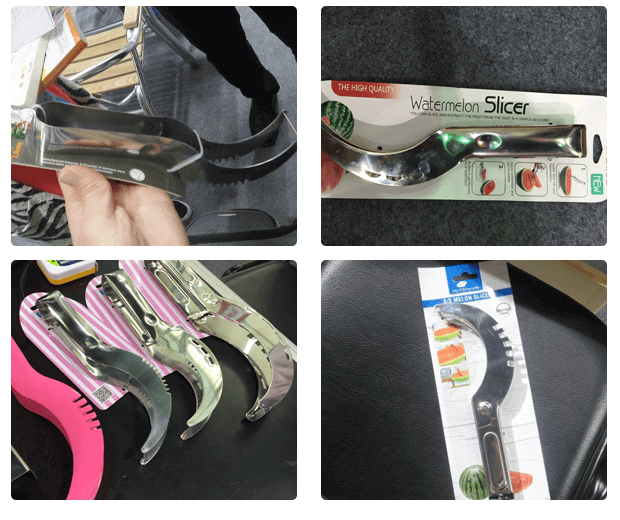 Stainless steel structure: indestructible material to preserve form, function and shine at every use: an accessory for your kitchen to use forever. 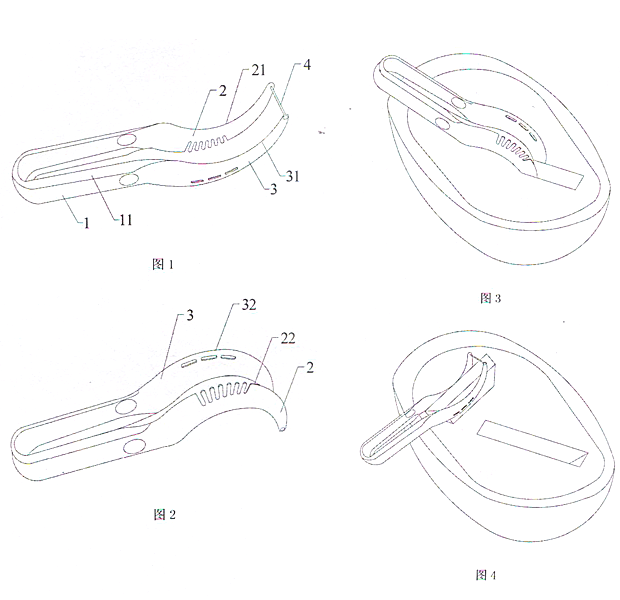 Angurello, like all I Genietti, is made in accordance with PROCEDURES and using materials that are suitable for allergy sufferers. 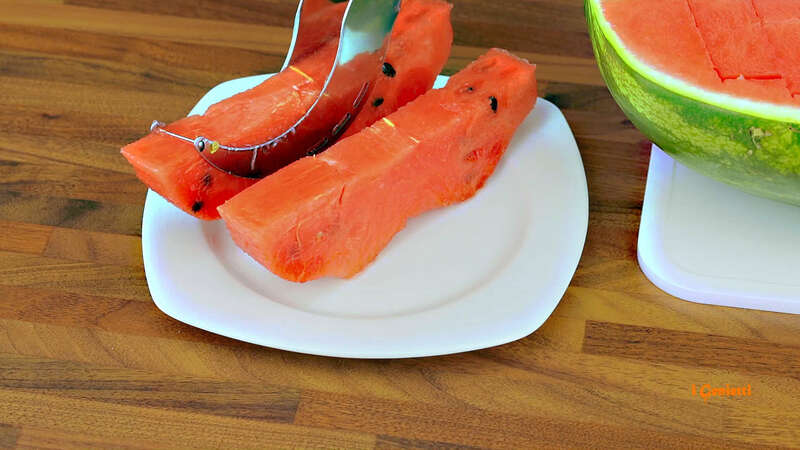 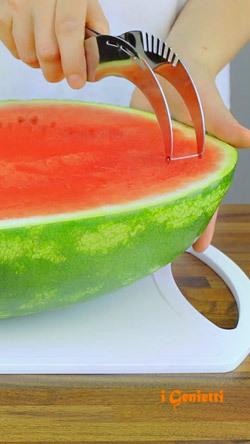 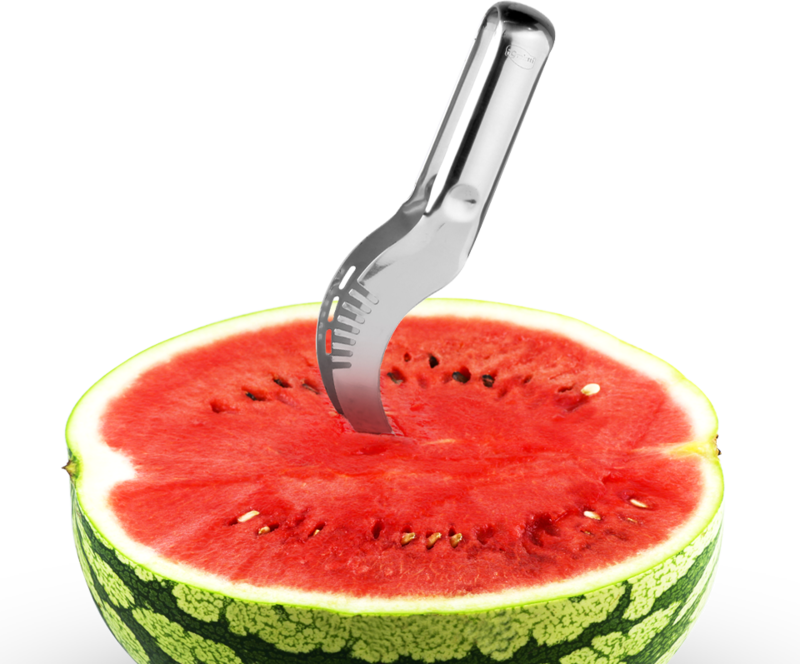 The innovative tool to cut and serve the watermelon in a quick and clean way. 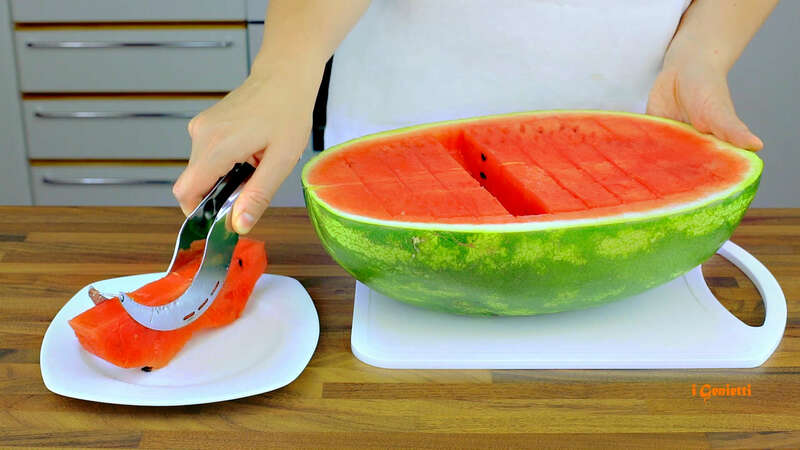 With Angurello you can slice and extract from the fruit, with just a simple gesture, perfect slices of pulp, while eliminating the rind. 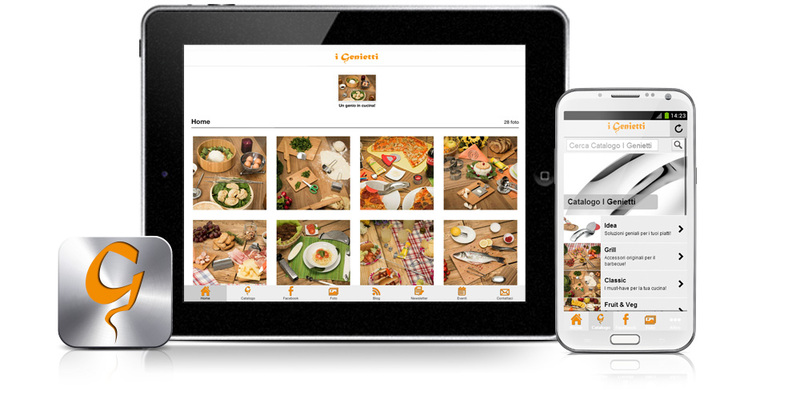 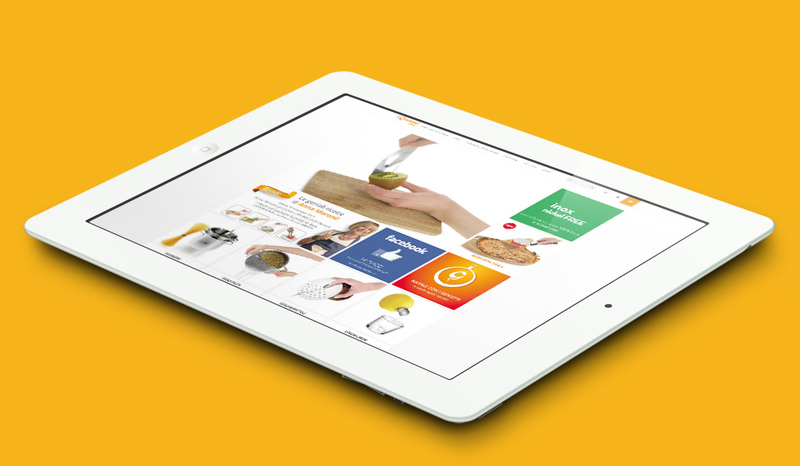 Genietti: 1000 and 1 solution for your kitchen. 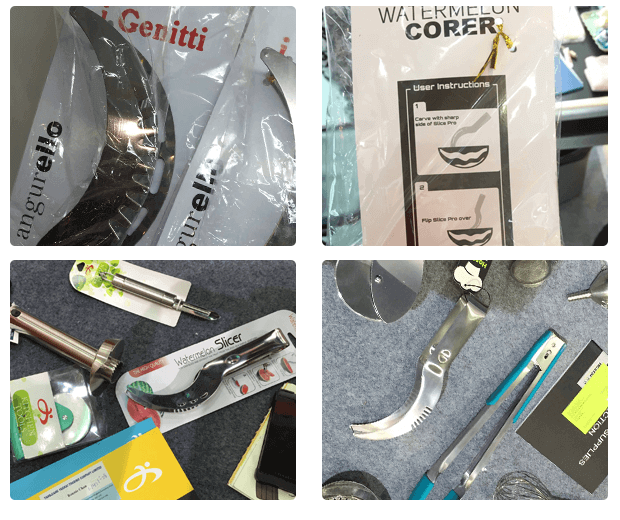 I Genietti: 1000 and 1 solution for the preparation and presentation of your dishes! 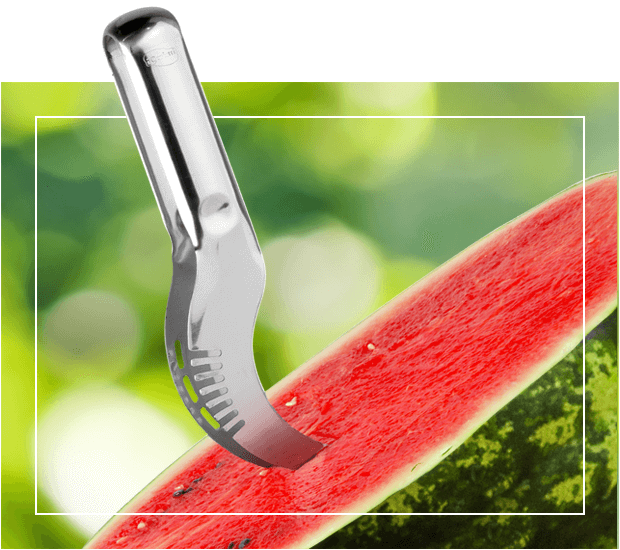 They are simple, innovative and ingenious accessories, made of stainless steel, nickel-free, guaranteed for life and ecological! 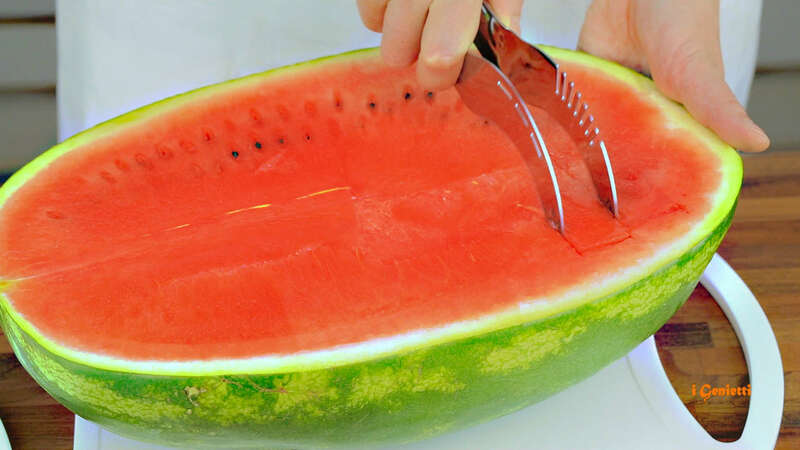 Thanks to its fixed cutting, you'll get every time you use angurello, watermelon slices of the same thickness: ideal for fresh decorations. 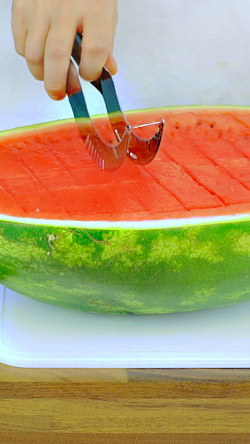 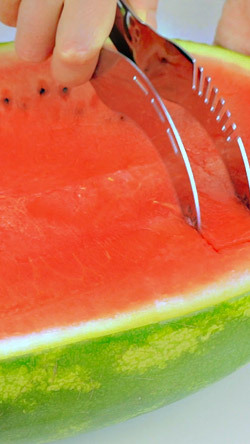 Angurello allows you to extract well-cut slices of watermelon safely and without damaging them. 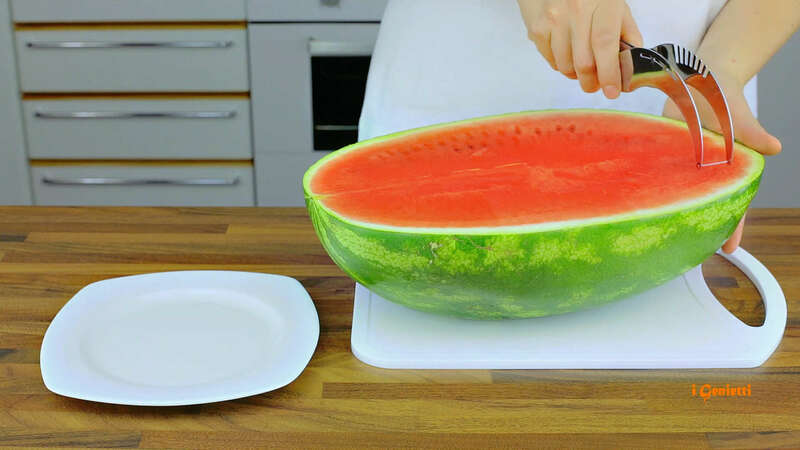 Stop to dirty hands every time you have to cut and slice watermelon. 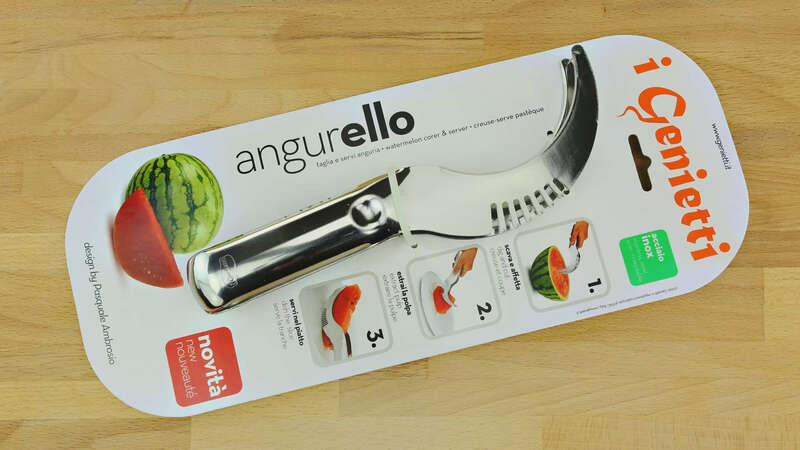 With Angurello you will get perfect slices without getting your hands dirty. in a quick and clean way. 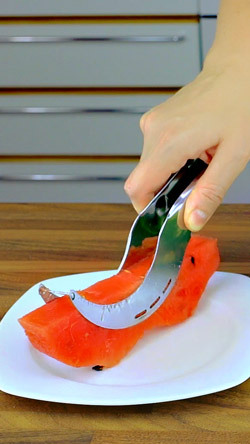 Given the great success of Angurello video - the famous watermelon slicer by IPAC with more than 100 million views around the world - many have tried to copy it, as evidenced by the fakes sold on-line and beyond. 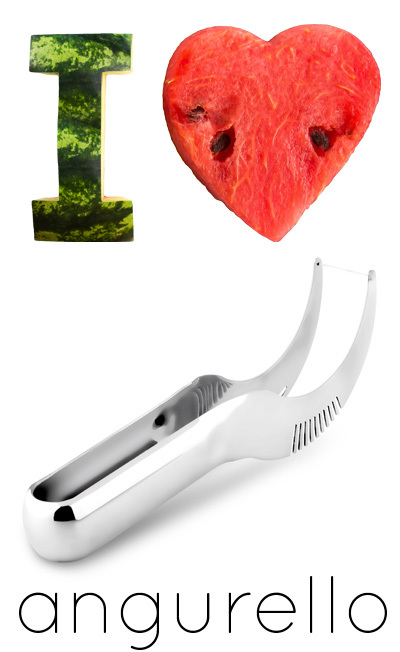 Although we are very flattered, the real Angurello by IPAC is very close to our hearts. 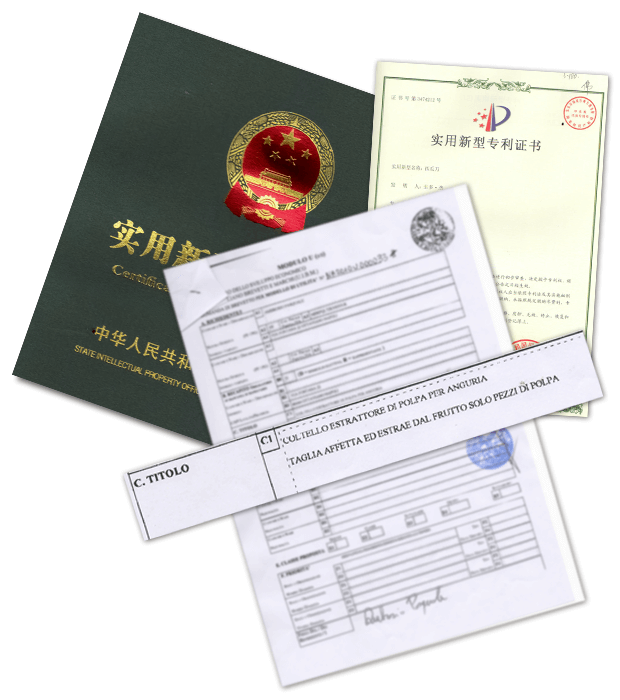 So we want to remind that it is the ONLY to have an INTERNATIONAL PATENT. 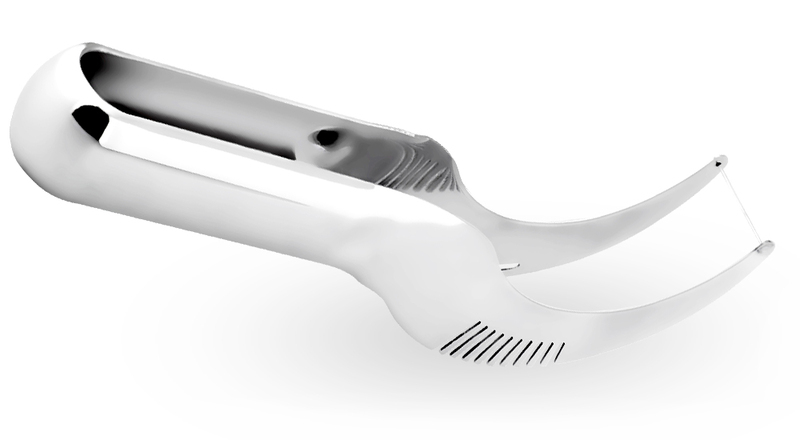 For over 70 years IPAC has developed an expertise on the stainless steel and its most refined techniques of workmanship that has enabled it to create a seemingly simple product, but characterized by a patented system unique in the world. 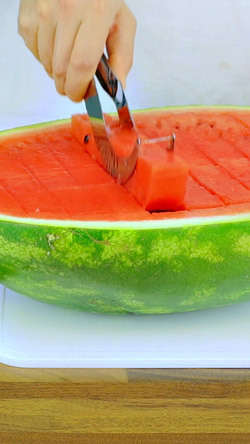 Cut the watermelon has never been so much fun!! 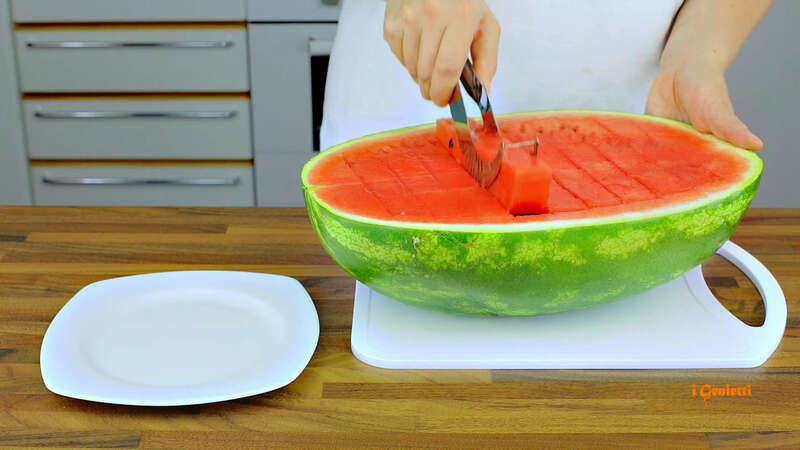 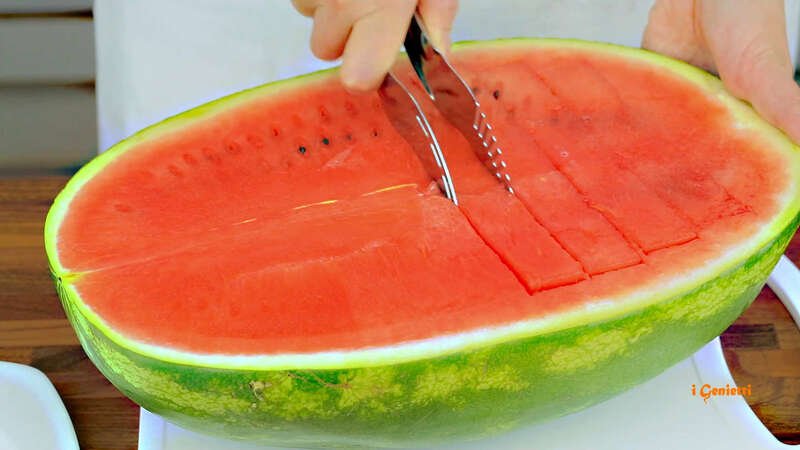 A simple, fast and fun to cut the watermelon. 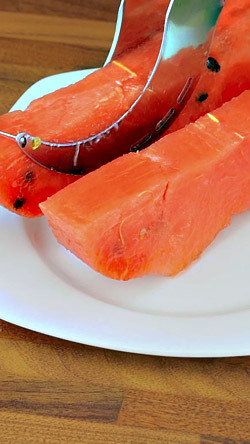 I received a gift from my sister; she knows how much I like the watermelon in the summer!! 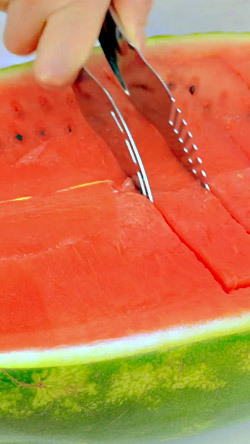 Thanks sister!